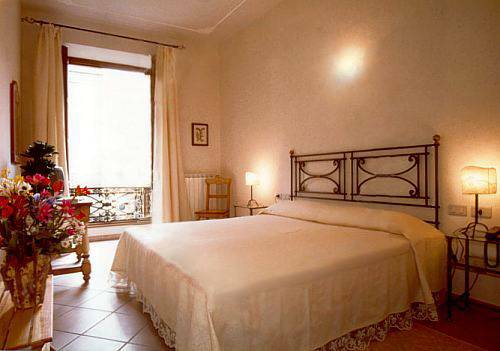 Il Porcellino Tourist House is a small, very central hotel with a few comfortable rooms, furnished with extreme care. Il Porcellino Tourist House is managed by the proprietors. All our rooms are provided with private bathroom, air conditioning, TV, ceiling fan, telephone and WI-FI internet. All doubles can be prepared with marital bed or 2 single beds, just let us know. Most of the rooms also offer a view on the characteristic market of the square, better known in Florence as Piazza del Porcellino due to the presence of a bronze fountain representing a wild bore. Situated in the heart of town, two steps away from the main touristic attractions such as the Uffizi Gallery, Ponte Vecchio, Palazzo Pitti, the magnificient Duomo. The very central location and the atmosphere you will feel will take you for a walk through the centuries. Hand painted forniture, view over the Porcellino lodge. We are 800 meters far from the central station, in the middle of the historical centre of Florence. All bus lines are less than 1 km. far. Nearest airport: Florence airport 12 Km.